Join our mailing and email lists to receive newsletters, invitations to events and updates on our programs by emailing us at contact@stmaryscenterma.org. Learn more via our website. 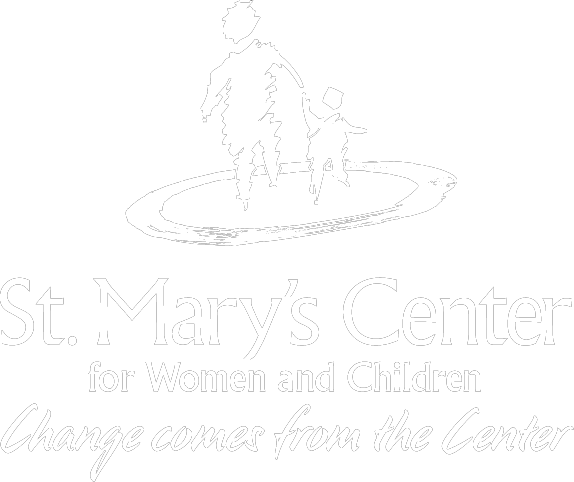 Call us for a tour of our programs and to learn more about St. Mary’s Center at 617-436-8600 ext. 238. Create a bookmark – Drag this box to your bookmarks or favorites bar to create a shortcut to smile.amazon.com. Install the Amazon Assistant – Get easy access to Product Comparisons, Deal of the Day, and time-saving shortcuts, which all link to smile.amazon.com. How does it work? – Learn more! The AmazonSmile Foundation will donate 0.5% of the purchase price from your eligible smile.amazon.com purchases. Recurring Subscribe-and-Save purchases and subscription renewals are not currently eligible to generate donations. Join the Women to Women Partnership! Women to Women Partnership: Partners are ambassadors for St. Mary’s Center. Through financial support, mentoring, and volunteering, the Partners help create positive change through educational and employment opportunities for women in our programs. The Partnership also offers networking and special events for Partners. To learn more about the Women to Women Partnership, call 617-436-8600 ext. 493 or email us at contact@stmaryscenterma.org. Make a gift in honor of or in memory of someone special in your life. We will inform the honoree or family member you indicate of your thoughtful contribution. Click here to donate now. Have your gift automatically deducted from your credit card every month. A quick and easy way to make major gifts into manageable amounts – $500 becomes only $41.67 each month! If you are interested in making a gift in honor, in memory of, or per month, please contact Daisy Guzman, Development and Communications Manager at 617.436.8600 ext. 493 or at contact@stmaryscenterma.org. For more information on making a donation to St. Mary’s Center, please contact Susan Keliher, Vice President of Development and Communication at 617.436.8600 ext. 491.